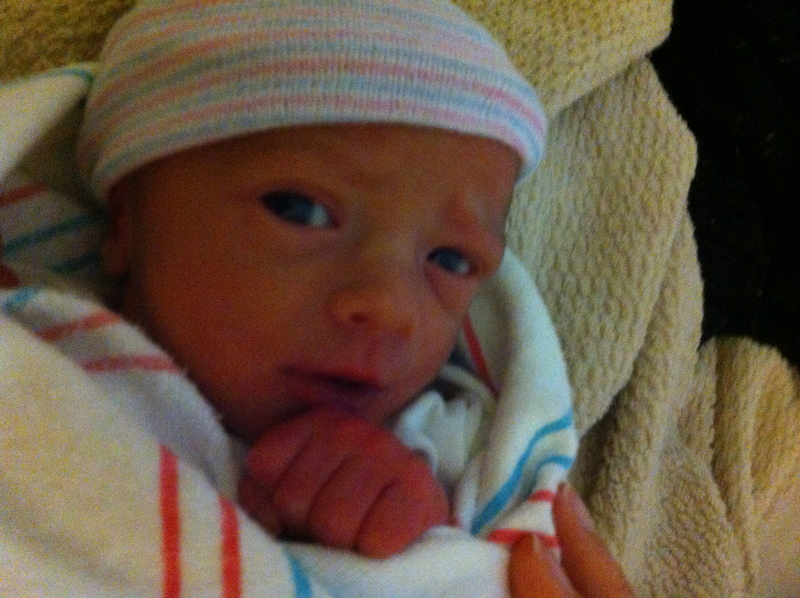 My nephew, Brad, was born on Friday, five weeks early. He is adorable and such a trooper. Here is an enormous picture of the little guy (this is my favorite that I snapped of him this weekend). My dog is like a paranoid barometer. She refused to come out of her closet this morning because of the changing air pressure. When it storms, she comes upstairs and hides in my closet. (Of course, she is so dumb that she can’t figure out how to back out of the closet. So she’s stuck there until someone comes home.) She is ridiculously sweet, though. I have recently started an Excel spreadsheet where I am logging outfits as I wear them. The goal is 100 unique outfits by the end of the summer; I’m hoping this exercise forces me to be creative, to use a broader set of items than I have been. Since I am still pretty new to this whole “work clothes” thing, I think I have quickly fallen into a bit of a fashion rut. Here’s to digging myself out of it. I’ll let y’all know how it goes.